We share the Earth with more than 10,000 species of birds. They soar over the highest peaks and skim over the ocean waves. Their songs fill the rainforests and yet we also wake to their melodies in the middle of our biggest cities. Almost every human who has ever lived has probably seen or heard a bird almost every day. The presence of birds has been a comfort to travellers, a tonic for the ill and a delight to many as they go about their busy lives. We like birds: we feel serenaded by their songs, we marvel at their mastery of the air, we approve of their attention to their young, and, in certain cases, we think they taste delicious too. And birds seem to treat us with respect - as we approach them they usually fly away rather than attack us or stand their ground. Some mammals may eat us, some snakes may bite us and some insects may sting us, but most birds look pretty, sound melodious and gener­ally defer to us as we go through life. Birds are easy companions for us and can amuse and soothe us. We also experience the world in a similar way to many birds, which adds to our feeling of kinship. Birds are creatures of sight and sound, as are we, whereas most of our fellow mammals' sensations are dominated by smell and touch. We admire the bright, sometimes gaudy plumage of many male birds, and realize that so do the females of those species, and we delight in the brilliance of the finest avian songsters, and appreciate that those songs are sending messages to other birds. Birds build nests that are their tempo­rary homes, and raise their young by guarding them from danger, keeping them warm and feeding them. They please us, intrigue us and sometimes astonish us with what they can achieve. Birds evolved from dinosaurs - in fact we can think of them as feath­ered dinosaurs. The fossil Archaeopteryx (from archaios, meaning 'ancient', and pteryx, meaning 'feather' or 'wing'), discovered in Germany in 1861, dates from around ijo million years ago. This early bird, which was 50 cm (20 in.) long, was covered in feathers and had broad wings and tail. It was warm-blooded and could certainly glide, and perhaps fly weakly as well; its small breastbone suggests that its flight muscles would not have been very well developed. Other proto-bird fossils have now also been identified, which push back the first known fossil feather to 160 million years. In those 160 million years, birds have radiated into the 10,000-plus species we see, and hear and love today. The largest surviving bird species is the Ostrich, which inhabits the plains of Africa and Arabia. It is taller than a human and, at 100 kg (220 lb), is fifty thousand times heavier than the small­est bird, the Bee Hummingbird, which weighs in at a little below 2 g (0.07 oz). The polar wastes support very few birds - although birds have been seen at both the North and South Poles - while the tropical regions are richest in bird species. South America hosts 36 per cent of all land-bird species, Africa 21 per cent and Southeast Asia another 18 per cent. These figures are reflected in the numbers of bird species found in individual countries. Colombia, far from the largest country on Earth (in fact only twenty-sixth largest), has more bird species than any other - more than 1,800 - and its much larger neighbours, Peru and Brazil, are second and third on the list. Every one of these bird species on our planet is remarkable in its own way, and here we have space to cover only around 67 of them. 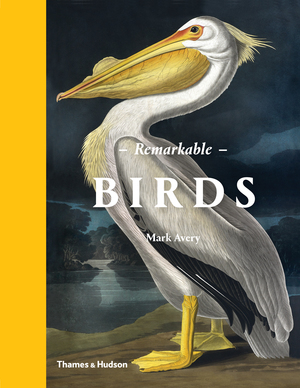 These are grouped into eight categories so that we can explore certain themes and connections in our apprecia­tion of, and relationship with, birds, and linger over aspects of their lives in greater detail in order to celebrate them more fully. Of course, many could have fitted into more than one of our categories.